I loved reading to my kiddos when they were little! And, I still read aloud to my 12yo on an almost-daily basis. 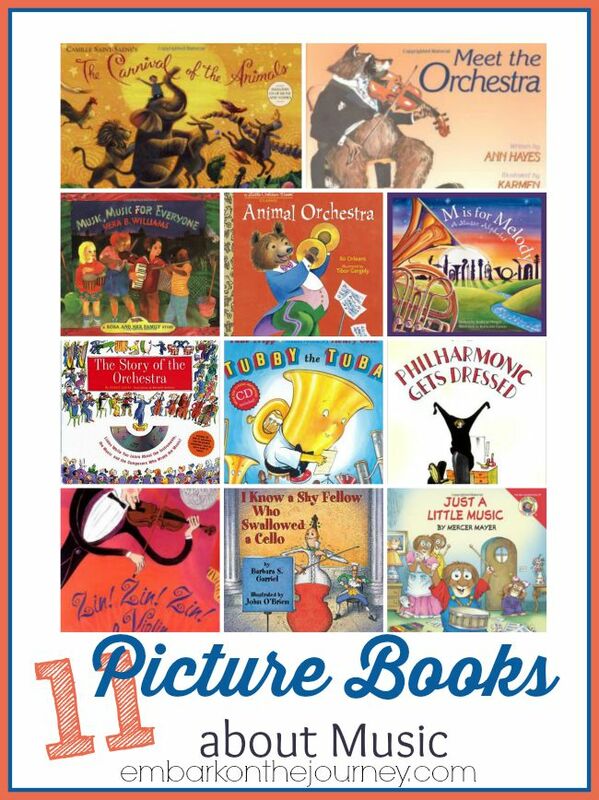 These fun picture books are great for getting your little ones in the mood to listen to music, march around the room, and play the pots-and-pans band! The Philharmonic Gets Dressed: “It is almost Friday night. Outside, the dark is getting darker,” and here and there around the city ninety-two men and thirteen women are getting dressed to go to work. First they bathe and put on their underwear. Then they don special black-and-white apparel. Then when the one hundred and five people are completely ready, each takes a musical instrument and travels to midtown. There, at 8:30 tonight, they will work together: playing. Music, Music for Everyone: Rosa organizes her friends into the Oak Street Band in order to earn money her family needs because of her Grandma’s illness….Community, family and personal triumphs converge, making unforgettable music for everyone. Tubby the Tuba: For sixty years audiences have been charmed by the adventures of a tuba named Tubby. All day long, Tubby plays oompah, oompah with his orchestra, but what he really wants is to “dance with the pretty little tune.” A resourceful bullfrog shows Tubby that everyone has the right to play his own melody. Animal Orchestra: It’s musical day in Animal Town. This rhyming story about an animal orchestra and its hippo conductor is perfect for reading aloud. Children will have front-row seats as they imagine the rousing experience of a night at the orchestra. This Little Golden Book Classic is now back in print for a new generation of readers to enjoy. Just a Little Music: Little Critter has a musical hobby . . . and it’s noisy! He’s excited about his new drums, and this means playing them everywhere. But Little Critter soon realizes that he might need just a few more lessons before he’s ready for his own rock-and-roll band! M is for Melody: From the oom pah pah of the brass section to the tickle and tease of the keyboard ivories, “M is for Melody” gives a music lesson in alphabet form. Instruments, composers, terms, and even musical styles are examined from A-Z in easy, read-aloud rhymes and expository, accompanied by colorful and engaging artwork. I Know a Shy Fellow Who Swallowed a Cello: This shy fellow, a wallflower, swallows a cello, followed by many more musical instruments, until at last he burps, belches, and bellows. Imagine how the instruments make music this way. Using her love of words and music, Barbara S. Garriel has created a zany and wild new look at an old favorite, There Was an Old Lady Who Swallowed a Fly, and added a surprise ending. John O’Brien’s wacky and imaginative illustrations bring the read-aloud book to life. The Story of the Orchestra: The engaging text is broken into three sections: an introduction to each instrument of the orchestra from the cello to the timpani, the stories of famous composers from Bach to Stravinsky and an explanation of different musical styles from Baroque to Modern. Each step of the way, children can listen to actual musical examples of what they are learning about. Young readers will hear the sound of an actual violin as they study the instrument and enjoy the playful tune of a Mozart minuet as they read about the composer’s precocious exploits as a child. The Carnival of the Animals: A great way to introduce children to classical music. Meet the Orchestra: This lyrical romp through the orchestra begins with animal musicians slowly gathering for the evening performance. Poetic descriptions suggest the sounds of the instruments, and lively watercolor illustrations capture the playful essence of each musician and musical instrument. Zin! Zin! Zin! a Violin:With mournful moan and silken tone, itself alone comes ONE TROMBONE… Then a trumpet joins in to become a duet; add a French horn and voila! you have a trio — and on it goes until an entire orchestra is assembled on stage. Lloyd Moss’s iresistible rhymes and Marjorie Pricemans’s energetic illustrations make beautiful music together — a masterpiece that is the perfect introduction to musical instruments and musical groups, and a counting book that redefines the genre. If you have a children’s literature post you’d like to share, please link up with us. Share what you’ve been reading with your kiddos. 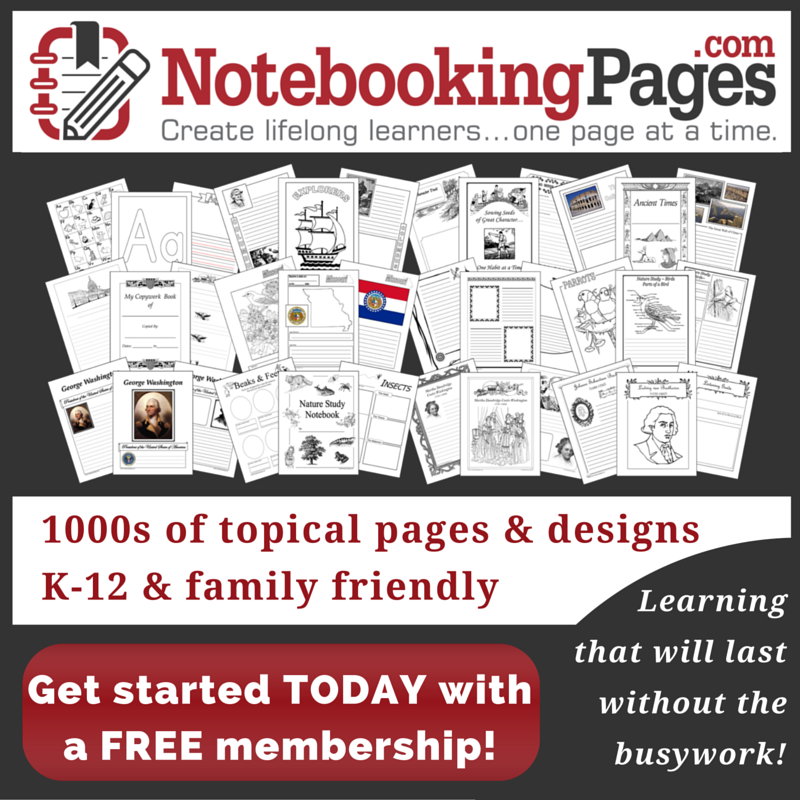 Do you have a fun book-based activity or printable? Share it with us. You may find yourself featured next week! So pleased that you featured my friend’s books about African birds, bugs and butterflies!